Learn about the accomplishments of the Thomas J. Long School of Pharmacy and Health Sciences students, faculty and alumni or share your own. 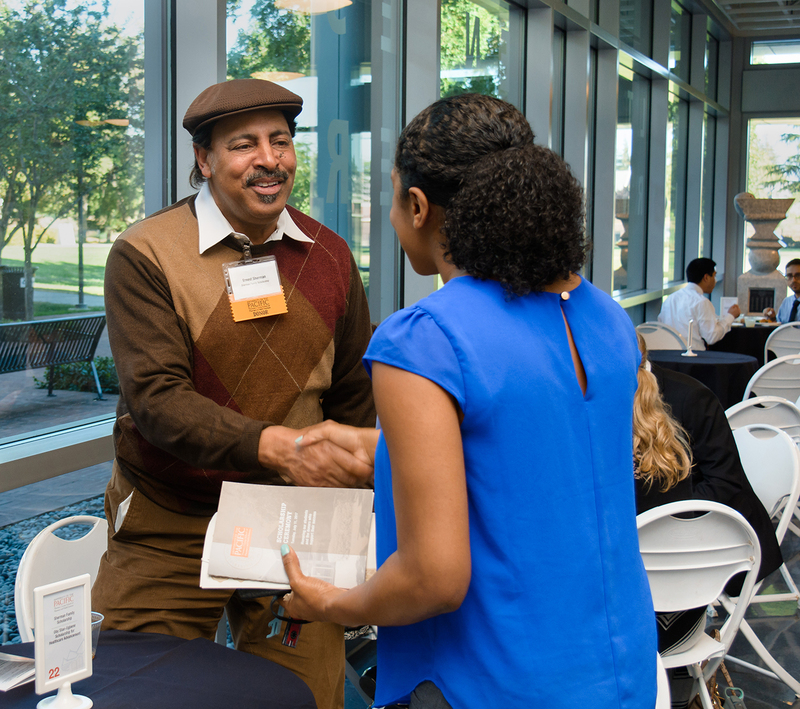 Get connected through events and health care outreach opportunities. 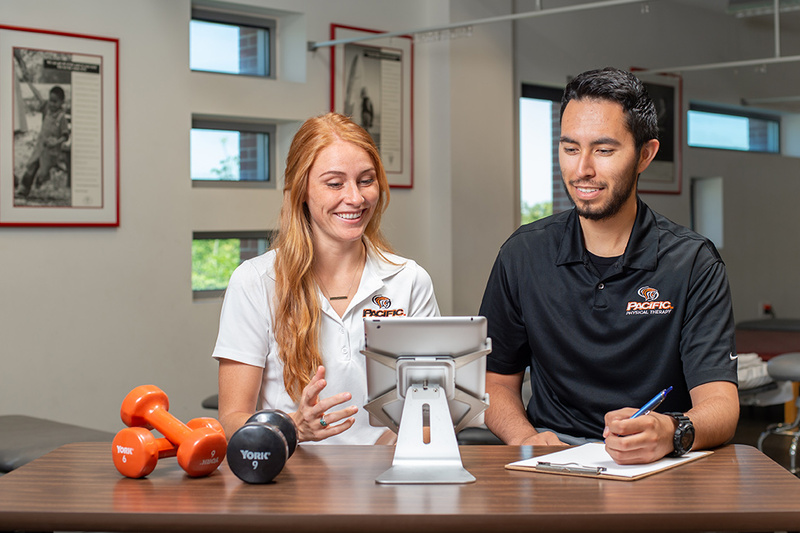 A collaboration between the Department of Physical Therapy and BlueJay Mobile Health, Inc. provides a platform for students to gain hands-on experience with telerehab. 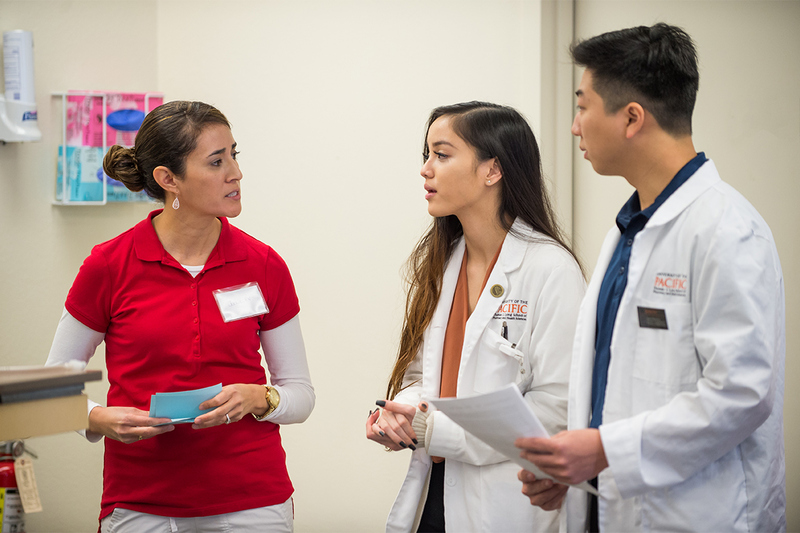 Learn how the Spanish-language elective courses help doctor of pharmacy students break down barriers and build trust with their patients. 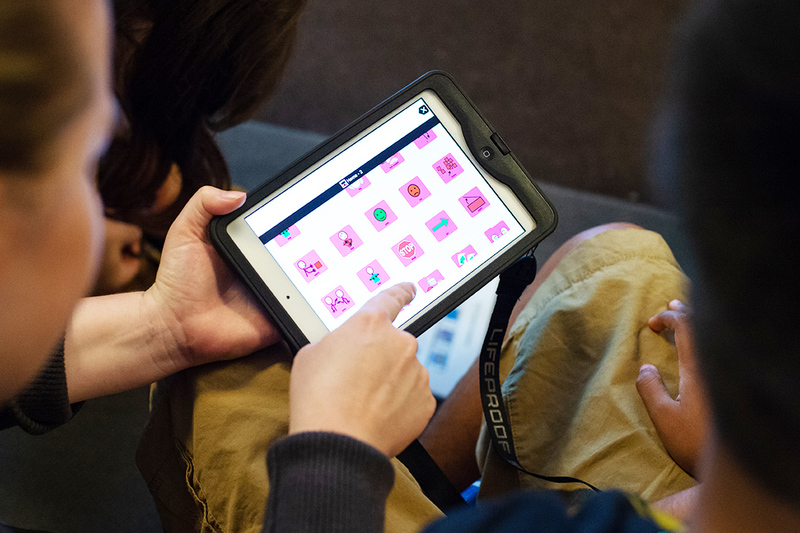 The Augmentative-Alternative Communication (AAC) Camp created a full immersion experience for clients to practice using their communication devices. Annie Ha ’18, AuD, Eun “Rudi” Kim ’18, AuD and Hayley Shillington ’18, AuD shared memorable patient interactions and how those experiences have shaped their plans for the future. Through this full-time, two-year graduate program students can earn a master of science in athletic training (MSAT). Through working with students from other disciplines, Pacific students practice being part of dynamic health care teams. The School offers six academic programs. Our individualized, faculty-led experiential learning programs, combined with the support of a powerful alumni network, lead to student success. Share with us your recent noteworthy accomplishments. Faculty, students, preceptors, clinical instructors and alumni are invited to submit recent grants, presentations, publications and recognitions. The School sponsors and co-sponsors continuing education programs. These programs are open to the public and are designed to help health care professionals stay current with advances in patient care. Start a new job or earn a promotion? Tie the knot? Welcome a new bundle of joy? We want to celebrate these milestones with you. Share with us your recent news and accomplishments. Maya Angelou once said, “You can’t use up creativity. 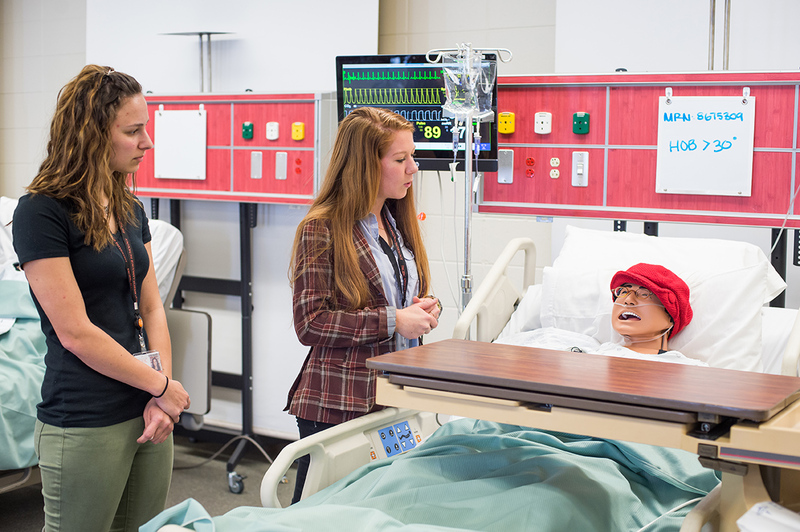 The more you use, the more you have.” At the School, I see creativity in everything we do — the way our students approach health care outreach, the research studies led by our faculty and the presentations made by our alumni at national conferences. At Pacific, not only are we passionate about providing outstanding care, we are committed to seeking out therapeutic advances. In this issue, you will learn about the stroke research being conducted by Robert F. Halliwell, PhD, professor of physiology and pharmacology. His research team is utilizing a current medication in a novel way to help reduce brain damage caused by stroke. 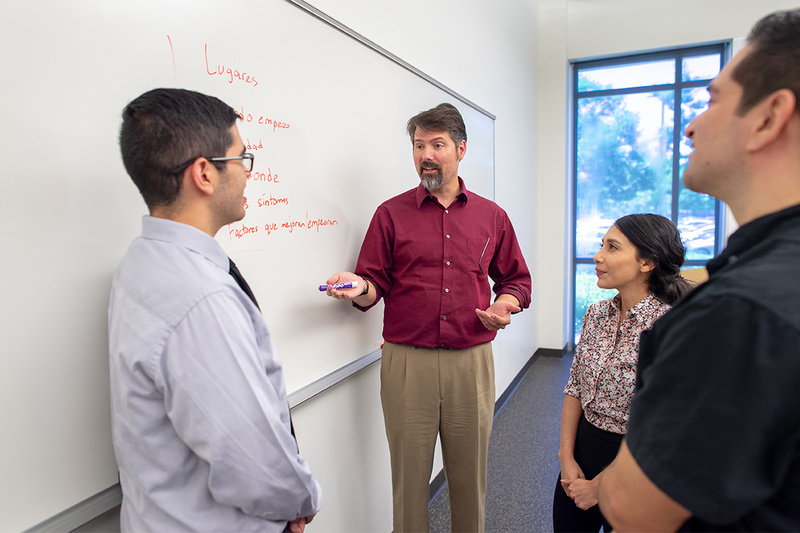 Through his research, Dr. Halliwell engages current students and interfaces with an alumna of the Pharmaceutical and Chemical Sciences Program (PCSP), which continues to produce alumni who are experts in scientific discovery. Our alumni and faculty are also sought after for their leadership. Rupa Balachandran, PhD, associate professor and chair of the Department of Audiology, was appointed to the Accreditation Commission for Audiology Education board of directors and speech-language pathology alumna Brandie (Allred) Brunni ’97, ’99, MA was selected as assistant superintendent of special education for the San Joaquin County Office of Education. Since 2007, 454 doctor of pharmacy (PharmD) students have taken the Medicare Part D elective course. 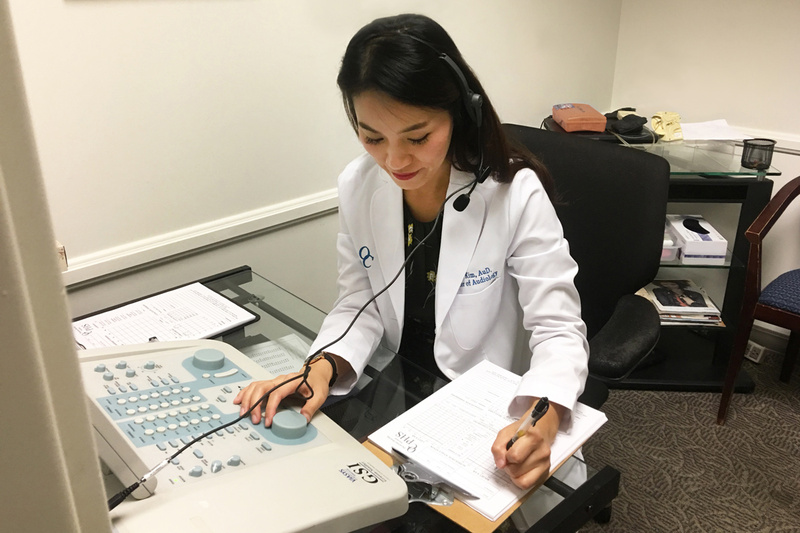 One significant aspect of the Medicare Part D Outreach Clinics is the impact it makes on the confidence, professional growth and leadership skills of our students. Last year the Pacific Medicare Part D Outreach Program Endowment Fund was established. The response from alumni has been remarkable. I am pleased to announce that to date more than $57,000 has been contributed and the fund has been Powell Matched, doubling the value and impact of the endowment. Another program known worldwide for innovation and creativity is the Fulbright Scholar Program. Graduating PharmD student David Carranza ’19 has been named a Fulbright Scholar. I am proud to see him go off to Finland to study their health care system. Knowing David, he will come back with ideas that will enhance the way we deliver and provide care to our patients. On May 18, we will confer degrees on 21 audiology, 23 PCSP, 36 physical therapy, 54 speech-language pathology and 199 pharmacy graduates. I look forward to seeing how the creativity of these 333 individuals, coupled with the foundation of their Pacific education, impacts their professions. Every gift matters — together, they add up to support financial aid, academics, research, health care outreach and other programs. When students are successful, they become health care professionals who help advance their profession and give back to their community. Partner with us to shape the next generation of health care professionals, who will touch and transform the communities they serve.